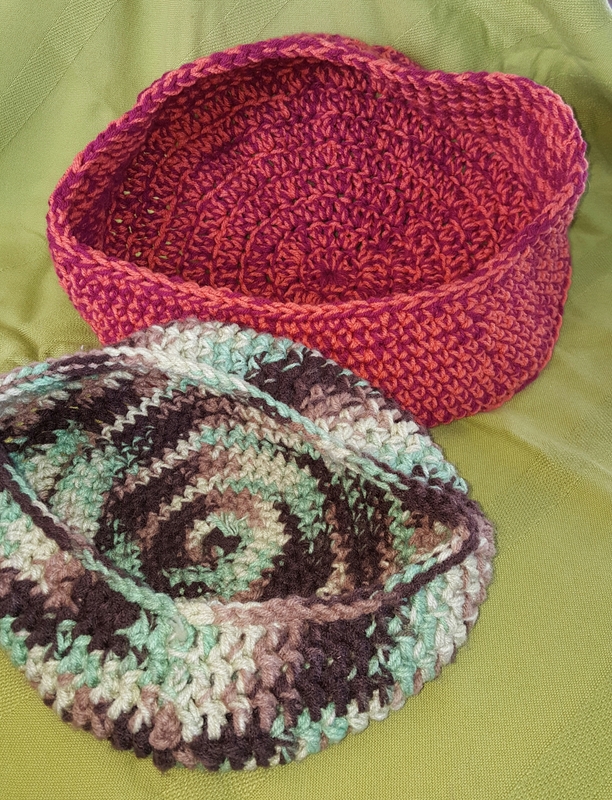 Crochet Season | "A Place for Learning"
« Coloring – The New Big Thing! When the weather cools I get in the mood to crochet. 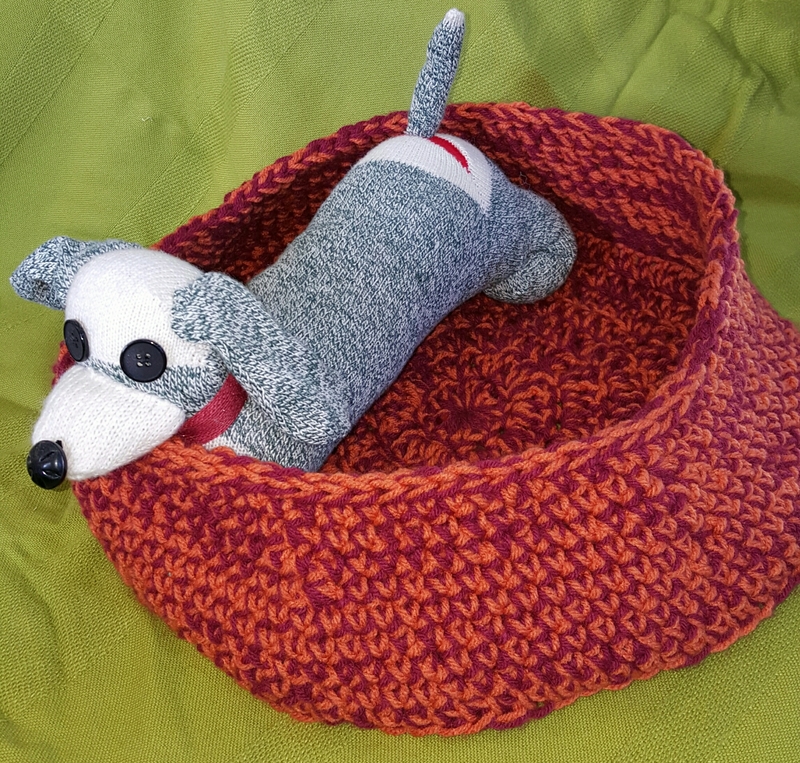 So I cleaned out a bag of yarn scraps and decided to make a few things that I can donate to the Animal Shelter. These are “Cat Bowls”. LOL At least I hope that cats might like to lay in these little bowls/baskets. And since I didn’t have a cat to try it out I took a photo with my sock dog. You get the idea.